The Chantelle Sofa Collection by Acme, kept in traditional style and finished in antiqued silver tone, is filled with romantic wonder. The Living Room Collection offers sofa, loveseat and chair. 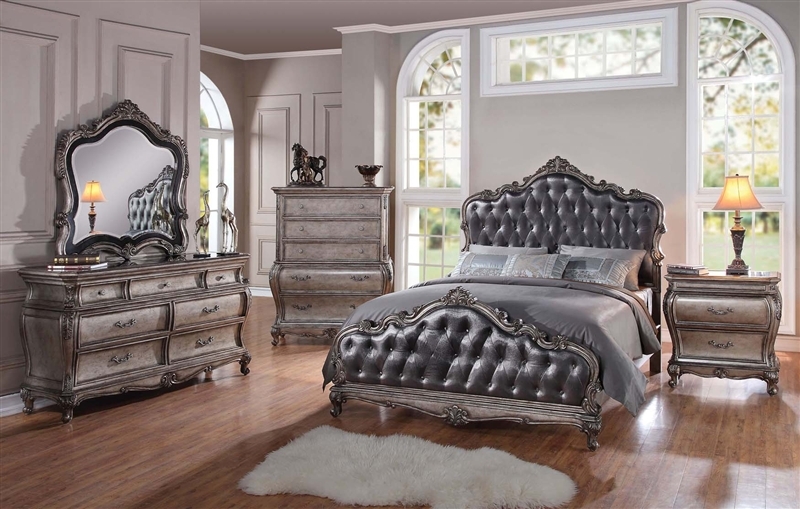 The pieces feature gorgeous moulding throughout the base, back, and legs, button tufted back, and hand applied nail head trim. 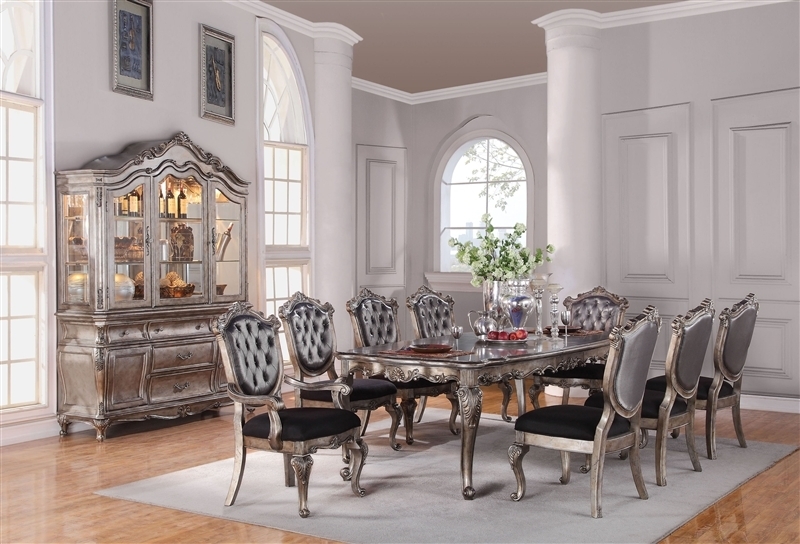 The Chantelle Dining Collection by Acme, kept in traditional style and finished in antiqued silver tone, is filled with romantic wonder. The Dining Room Collection offers table, china, arm chairs, and side chairs. The pieces feature gorgeous moulding throughout.